The Ashville & Spartanburg Railroad was an important link in building a continous rail connection from the lowlands of South Carolina over the Blue Ridge and into North Carolina. 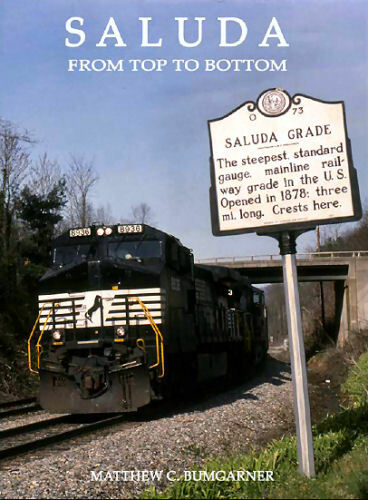 Though only 66 miles, this treacherous route included the infamous Saluda grade the steepest section of mainline railroad in the United States. This book is the first major publication on the grade and railroad in more than 30 years and goes deeper than any previous work. Along the way, the author examines in detail the sacrifies of convict labor, the rise of tourism in Western Carolina, and the transformation of the railroad industry over the course of the last 150 years. Included are historical timetables, depot floorplans, and detailed track profiles of the entire railroad. Hard cover.